Last month, Dr Andrew Thornhill started working at the State Herbarium of South Australia. 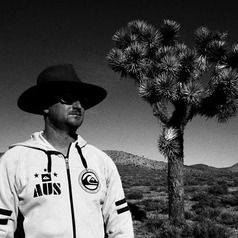 Originally from Melbourne, Andrew studied and worked at Monash University (Melbourne), the Australian National University, Australian National Herbarium and CSIRO (all Canberra), the Australian Tropical Herbarium (Cairns), the University of California (Berkeley, USA) and the federal Department of Agriculture and Water Resources (Canberra). In his current position, he is working for both, The University of Adelaide and the State Herbarium on a variety of projects, including the analysis of molecular data-sets and re-organisation of the Herbarium’s bryophyte collection. In 2011, Andrew started a project on creating a complete species level phylogeny of the eucalypts (which include the genera Eucalyptus, Angophora and Corymbia). The idea was to sample DNA for as many eucalypt species as possible, combine that data and see how all of the species were related to each other. This week, over seven years later, the project was published. Thornhill, A.H., Crisp, M.D., Külheim, C., Lam, K.E., Nelson, L.A., Yeate,s D.K., Miller, J.T. (2019). A dated molecular perspective of eucalypt taxonomy, evolution and diversification. Australian Systematic Botany 32: 29-48. Eucalyptus porosa. Photo: Clive M. Chesson. There are over 800 described eucalypt species in the world and we are close to soon having 900. Around 1/8th of the total number of eucalypt species are native to South Australia and they grow in the arid and forest areas in an array of habits, be it mallees or trees up in the hills. The paper presents a dated phylogeny of the Australian eucalypts and a diversification analysis to show if any parts of the eucalypt phylogeny have had accelerated diversification. What Andrew and his colleagues found was that many of the species that grow in the arid and forest areas of southern and south-eastern Australia have only evolved in the last two million years, this includes many of the eucalypt species that grow in South Australia. 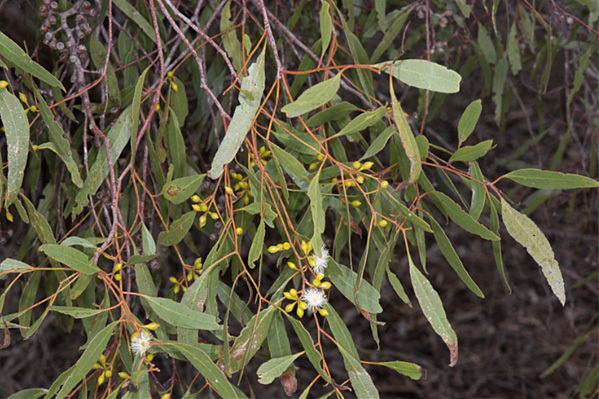 Their origin comes due to a divergence with Western Australian eucalypts, but that’s not to say that Western Australia is where eucalypts originated. There are even deeper splits in the history of eucalypts that suggests that either south-west Western Australia or south-east Queensland could be the source of origin. One way to find this out may be by finding new ‘oldest’ fossils in either of these places, which would help provide evidence that eucalypts grew there in the deep past. The results of this research are also discussed by Andrew in an article in The Conversation. The treatment for eucalypts in the new, 5th edition of the Flora of South Australia is also available (33.7mb PDF). This entry was posted in News, Publications on 11 April, 2019 by Jürgen.